Aussie Haircare with their agency Atelier, the lifestyle and luxury division of the Leo Burnett Group, have created an exciting through the line engagement campaign to bring to life Aussie’s partnership with Movember. Uniquely, this is the first time that a female brand has partnered with the men’s health charity Movember. 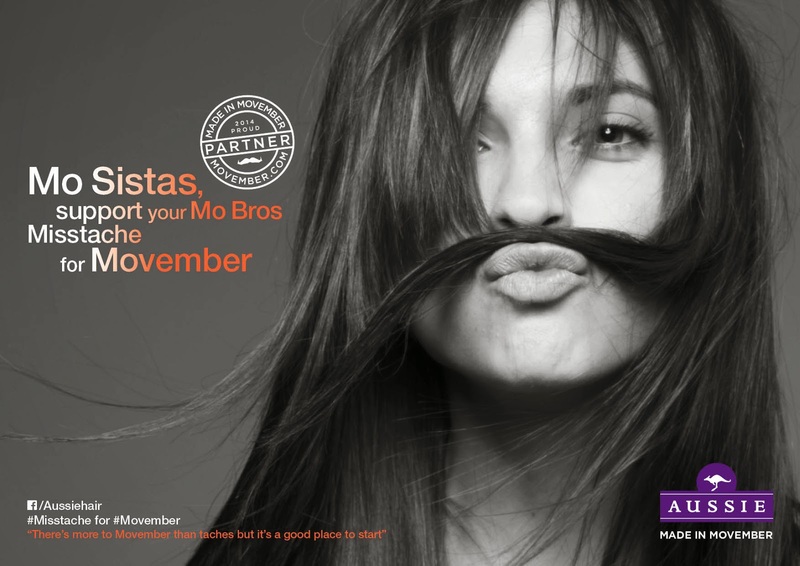 The activity gives women the opportunity to get involved with Movember and support their men whilst having a bit of fun! Female supporters of Movember, otherwise known as ‘Mo-sistas’, are asked to show off their ‘Movember Misstaches’ so that they too can don a moustache this Movember - a misstache can be created by using a lock of hair (no hands) and shared - to raise awareness for the men’s health charity. An influencer strategy sees TV personality Laura Whitmore, alongside other leading bloggers and YouTubers such as Fleur De Force, demonstrating their best Aussie Misstaches. The integrated campaign includes print, PR, in-store and video, as well as content running across social channels, such as Facebook, Instagram and Twitter. The #Misstache campaign is set to provide some much-needed support for Mo Bros in all their bristled glory. Growing a mo can be a tricky time for bros – we’re talking about the patches, the bristles, the unexpected sprouting colours - Aussie is leading the way in encouraging girls to show their support with a #Misstache this Movember! Better yet Aussie will donate 10p from every bottle sold in Tesco in November. Graeme Barnes Brand Manager at Aussie said: “This is a fantastic opportunity to raise awareness and help women get involved in a cause which indirectly affects so many. Encouraging women to have fun with their hair whilst supporting the men in their life is a true manifestation of our Aussie Philosophy 'there's more to life than hair, but it's a good place to start.' "